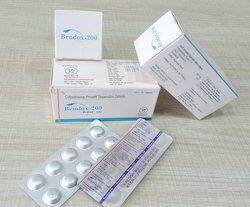 Our product range includes a wide range of cefixime dispersible tablets, pantoprazole tablet, cefpodoxime proxetil, cefpodoxime proxetil dispersible tablets, paracetamol, diclofenac potassium chlorzaxone tablet and nimesulide paracetamol tablet. With the help of our highly efficient and well-qualified workforce, we have been able to offer a wide assortment of Bencif - 200. Offered tablet is broadly demanded its perfect formulations and best reactivity. The tablet may be taken with or without food, and the liquid must be taken with food. We are instrumental in offering a wide range of Parypan - D to our clients. At vendor's end, our provided tablets are precisely formulated using high-grade natural elements and latest technology. 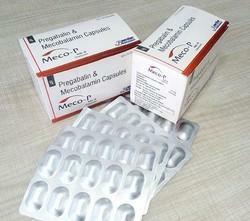 Owing to their high purity and premium quality, these tablets are widely acknowledged by our precious clients. We put forth high-grade Bendox - CV to our prestigious clients. Our offered product is formulated using finest quality basic ingredients and applying high-end technology under the able guidance of our experts. The offered product is comprehensively checked for its quality and composition as per the set norms of standards. Leveraging on our vast industrial experience, we offer an extensive gamut of Bendox - 200. The offered products are processed by our experts in conformity with international standards using quality approved ingredients with the help of highly advance technology. 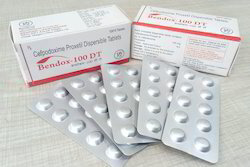 Bendox - 200 should be used only to treat or prevent infections that are proven or strongly suspected to be caused by bacteria. we offering to our clients a wide range of paracetamol, diclofenac potassium chlorzaxone tablet that is formulated using pure and quality ingredients.These tablet are highly effective and are used across various medical industries for the treatment of various ailments. We offering to our clients a wide range of Nimesulide paracetamol Tablet whose brand name is SLIDE-P . That is formulated using pure and quality ingredients. These tablet are highly effective and are used across various medical industries for the treatment of various ailments. We have many years of expertise in providing Fena - SP to meet various medical demands of the industry. The experienced medical professionals develop these medicines after analyzing detailed research on its effects and efficacy in curing the deceased. 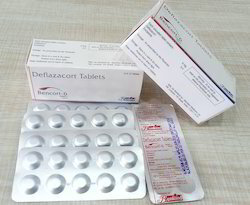 We offering to our clients a wide range of Ofloxacin & Ornidazole Tablets whose brand name is BENFLOX-OZ that is formulated using pure and quality ingredients. These tablet are highly effective and are used across various medical industries for the treatment of various ailments. We offering to our clients a wide range of Artemether & Lumefantrine Tablets whose brand name is KITHER-LF that is formulated using pure and quality ingredients. These tablet are highly effective and are used across various medical industries for the treatment of varios ailments.